The Bank of Mauritius has this week launched a new 2000 Rupee banknote into circulation, printed on De La Rue’s polymer substrate, Safeguard®. The note is a reproduction of the current design: retaining most of the paper security features, whilst introducing some upgraded security features. These enhanced features include De La Rue’s Mask™ feature and newly launched Illuminate design technique for polymer. When it comes to banknote design, innovation is critical. Safeguard®, De La Rue’s polymer solution, allows for considerably improved banknote security, enabling sophisticated and robust security features to be embedded through design. The integration of original, technically advanced polymer design features ensures the security and durability of the banknote throughout its life. A first in polymer design, Illuminate uses a combination of inks, including matte and iridescent inks, to inject vivid colour into the polymer window. Designs are no longer limited by the muted colours of previous generations of polymer. Illuminate offers unlimited possibilities in window design, through the creation of vibrant, standout artwork which drives strong end user recognition and public authentication. Above: De La Rue’s Illuminate design technique for polymer, on 2000 Rupee. On the 2000 Rupee launched this week, the hand-engraved portrait of Sir Seewoosagur Ramgoolam, previous Prime Minister of Mauritius, is retained, along with the associated intricate patterns, microprint and secure inks. 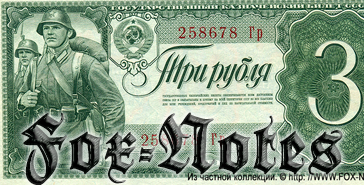 The banknote retains its size and overall colour scheme. This is the 35th banknote to be issued on De La Rue’s polymer substrate, Safeguard®, which was originally launched in 2012.